Just hours after Donald Trump announced he would pull the US out of the Paris agreement, European and Chinese leaders will outline how they plan to take the lead on global climate policy. European diplomats have been miffed by the Trump administration’s disregard for climate change, causing a rift in transatlantic relations. 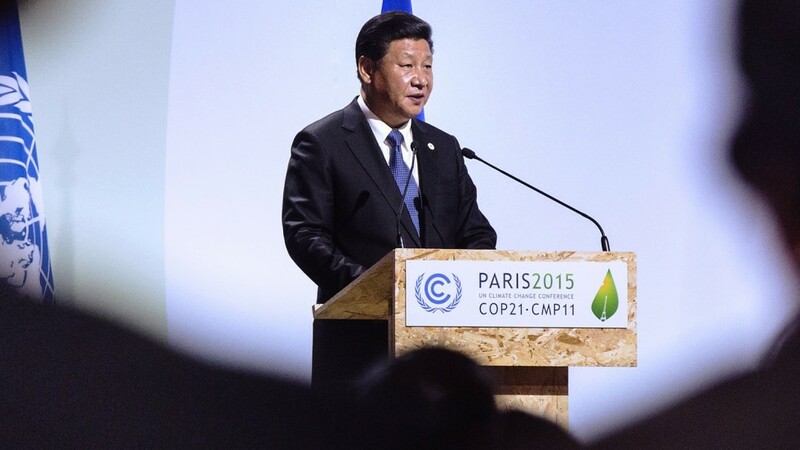 Sensing its moment, China is set to capitalise by taking a leadership role on a key global issue for the first time. Producing 30% of global carbon emissions, China is ideally placed—and perhaps even obligated—to lead on climate policy. The country will introduce an emissions trading scheme in July—which will receive an $11 million boost from the EU in today’s announcement—and plans to spend more than $360 billion on renewable energy by 2020. With many of its cities choked in smog, Beijing wants to move away from ‘dirty’ manufacturing and retool its factories to produce less polluting high-tech goods. If successful in repurposing its labour and capital, China will do what it does best and bring down manufacturing costs. This could well see Beijing become the first renewable energy superpower. Delve deeper: Will Trump pull the plug on Paris?